One of my 2015 resolutions is to simplify my life, particularly my wardrobe. 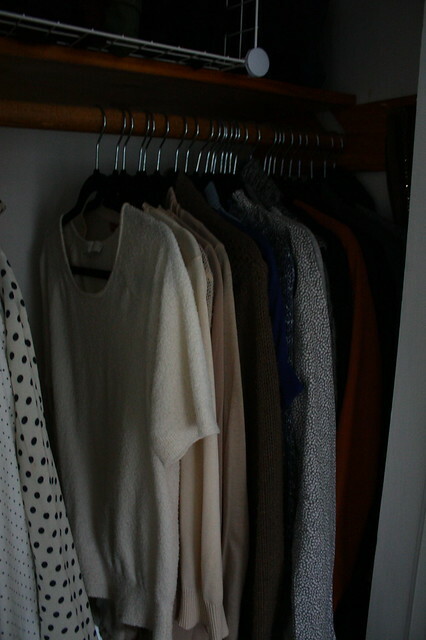 I’m far from declaring that I have achieved a streamlined, minimalist wardrobe, but I think I’ve made progress. It’s a start, at least. 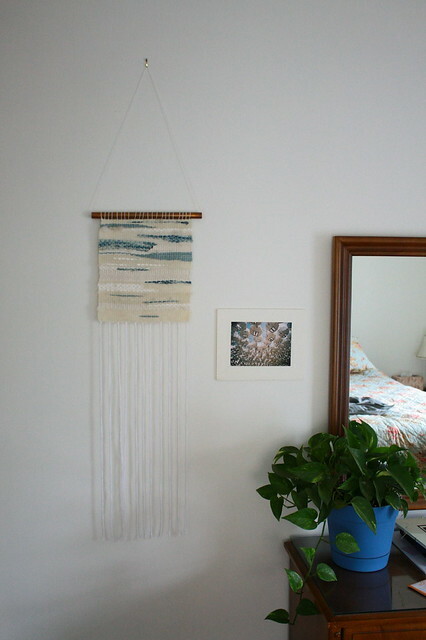 Tapestry by Laura Dillon Rogers. 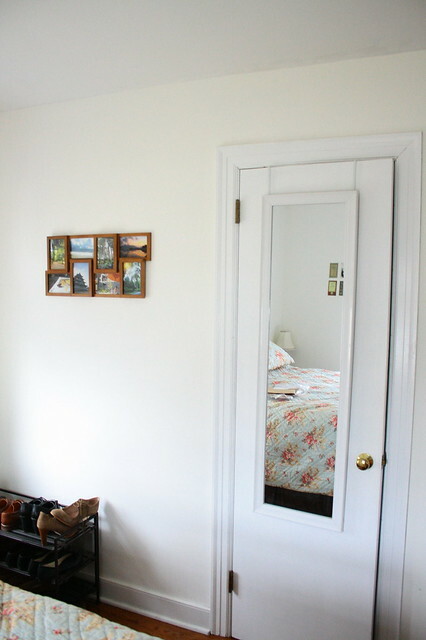 A physical benefit of attempting a pared-down wardrobe is that we have TINY closets. 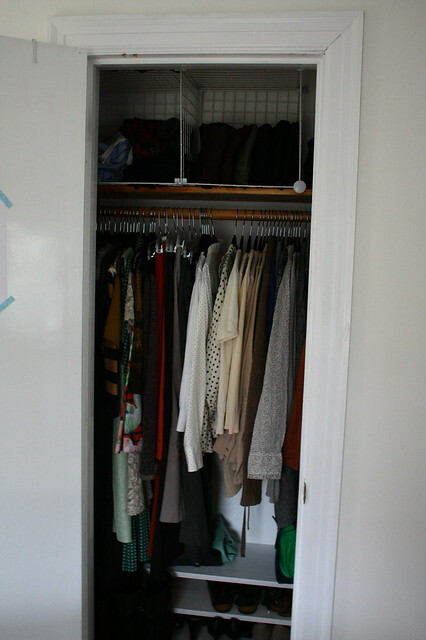 Simply, there is no space to have an expansive collection of clothes. When we moved in a year ago, I begrudged this seeming limitation and envied women with those luxurious walk-in closets. But now I feel grateful for this small space. It has forced me to become a conscientious and ruthless editor over time. 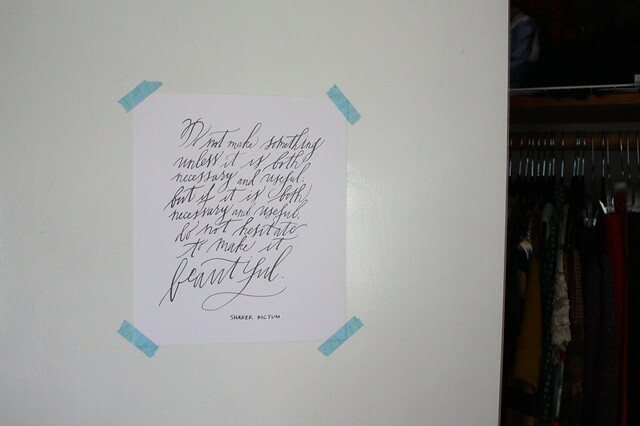 Shaker dictum calligraphy print, by me. And then I have three drawers (grunders not pictured). 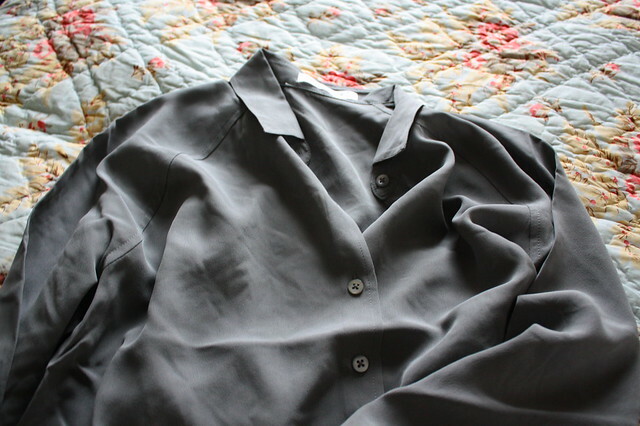 Shirts, transformed by the Life-Changing Magic of Tidying (a la Marie Kondo). My shoes live on a little shelf outside the closet. The surrounding goals are to (1) discard/donate more, (2) reduce colors, (3) refine what I consider to be my personal style, (4) buy less, and (5) buy better-made clothes when I do buy. I still have lots of progress to make, but I am feeling refreshed and inspired with this small start. An added benefit is that my mom and sisters (and some of Grace’s friends) are joining in this goal to simplify our closets, and so I have a good deal of peripheral, personal support. I am thankful for them, and for this year of new beginnings, even if it is starting with something as ordinary as a collection of clothes. Trying to minimize too. Let us know more? I am in process too. I’ve been thinking about paring down my wardrobe as well, but it’s been complicated by the fact that I’ve also had to buy a lot of new things recently to adapt to a new (much colder) climate during the winter. I’d love to read a post about what you’ve decided to keep and what you’ve decided to get rid of and why — the notion of “wardrobe basics” has always seemed slippery and highly personal to me, but I’m always looking for inspiration from others. 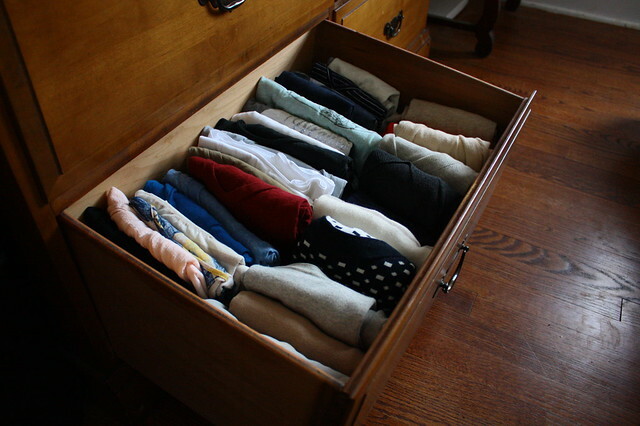 At any rate, think a streamlined wardrobe is an excellent goal! This is a great resolution! However, how do you see goodbye to all your clothes? That’s mu struggle at least ;-).